We are one of the leading manufacturers of fine quality finished sheep leather. Our quality deliveries have gained wide appreciation and acceptance in the garments industry. Our offerings include a wide array of superior quality leather of distinct types used for varied applications in garment and apparel industry. All of our quality products confirm to fine finishing and can be made available as specified by our clients. 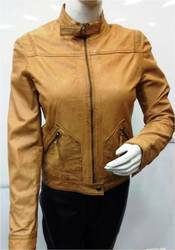 We are a highly reputed organization, engaged in offering a superior collection of Ladies Jacket that is demanded for its perfect fitting, alluring look and seamless stitching. 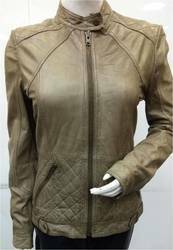 This ladies jacket is designed by our team of highly skilled professionals from quality approved fabric in compliance with latest market trends. 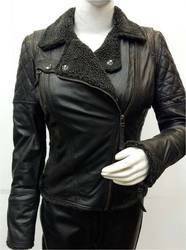 Our offered ladies jacket provides an alluring look to the one to wears it. Available in different colors, sizes, designs and patterns to meet different choices of clients.